Holochain is a new technology project with huge potential for the cooperative economy. Members of The Open Co-op have been promoting the idea that new software could, potentially, revolutionise both our failing democracies and our predatory capitalist economies, since 2004. Back then we weren’t quite so clear on exactly how the required information architecture should be designed – but we knew what we wanted it to do and how it should work. 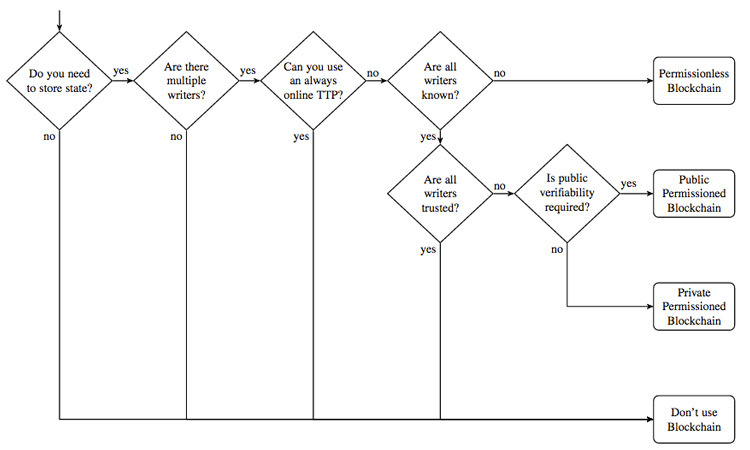 In 2004, I published a paper entitled Participatory Democracy Networks, which explained how I thought some new information architecture could facilitate participatory democracy worldwide. 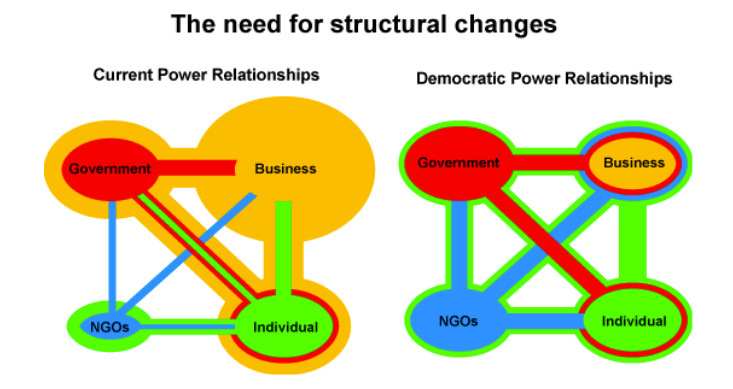 The above diagram illustrates the undemocratic nature of the current system and the required power relationships of a truly democratic system. The extent to which any ‘player’ controls any other is represented by the extent to which its colour encapsulates any other. For example, in the current situation individuals influence business to some extent (by buying things) and the government to some extent (by voting) but do not control them, individuals only control the NGOs. In 2017 we updated the PLANET screenshots – presenting the idea as An open source operating system for a collaborative, sustainable economy incorporating a range of interlinked apps on a smart phone. PLANET is still not a software project, it remains a vision which aims to illustrate some of the concepts and advantages of a collaborative, user owned and managed economic platform. 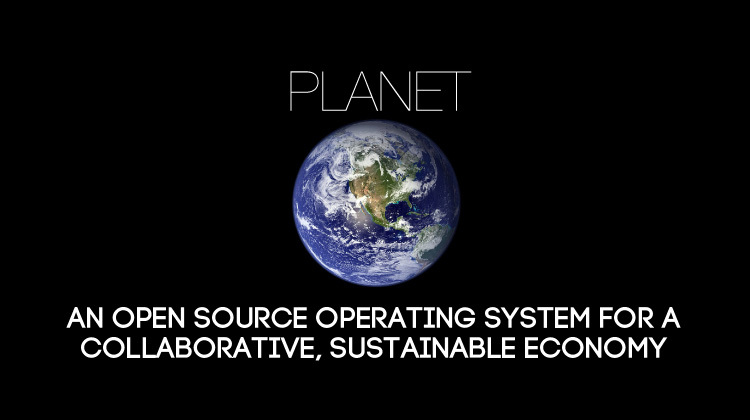 The purpose of the PLANET concept is to illustrate, through a Graphical User Interface, what it might be like to interact with a new economic system which has been built collaboratively as an open source project. PLANET would be owned and controlled by its members, giving them complete control over how it is run via proposals, and votes on other members’ proposals. PLANET incorporates concepts such as: Agent-centric architecture, Personal data licenses, Portable reputation, Alternative currencies, Group management, Local relevance and Delegative voting – all the same ideas we were proposing in 2004 to help build participatory democracy networks. A system that is designed to enable total anonymity is actually not very appropriate for building collaborative, trust-based systems and organisations. Sometimes technology gets over-hyped and there’s a growing body of evidence explaining why you don’t need to use blockchain. This paper by Karl Wüst and Arthur Gervais from the Department of Computer Science in Zurich, gives a good outline of whether a blockchain is the appropriate technical solution to solve a problem. Whilst some people have been embarrassing humanity by creating mind-numbing concepts such as Crypto-kitties and trying to force tomatoes on a blockchain, the team at Holo have been figuring out the fundamental information architecture for a new, sustainable, collaborative and cooperative economy. Such a valiant and laudable mission is clearly not for the faint-hearted and the Holo team brings together brains such as Eric Harris-Braun, Arthur Brock, Jean Russell, Jean-François Noubel, and Matthew Schutte to name just a few. They are an incredible group of system-thinkers whose ideas have evolved out of the metacurrency project and CEPTR and synergised as Holochain, a new applications framework that they are giving away to the world for free. To help subsidize that effort, they are also launching the first flagship application built using Holochain, a peer-to-peer web hosting platform, confusingly named Holo host, for which they recently raised over $20 million through a crowdfunding campaign and an Initial Community Offering. In order to explain what Holochain is, how it works and why co-operators everywhere should take note, we interviewed their Director of Communications. OSB: What is Holo in layman’s terms? MS: Holo is a peer to peer app hosting marketplace. Today app hosting is the domain of big business. If a developer builds an app, they serve it via a hosting company like Amazon or Google and pay to use their big data warehouses – huge sever farms which present the app to end users. 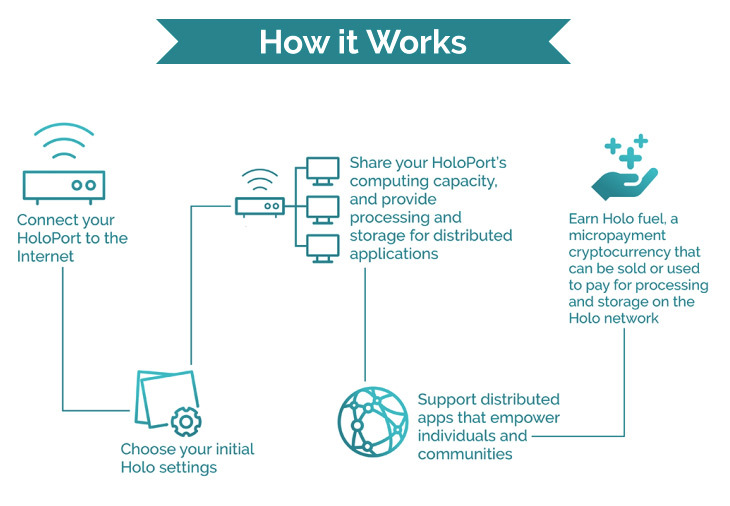 Holo makes it possible for normal folks to make use of the idle storage and processing capacity on their computers to get into that business… For example, when I’m writing an email, my machine is doing some work but it has the capacity to do 1000 times more work – so HOLO enables you to rent some of that extra capacity. OSB: OK, that sounds great, but I can imagine people worrying it might slow down their computers. Is that something users will need to think about? MS: You can set your own parameters. You can specify the settings for how much of your machine you allocate to Holo – Our goal is to prioritise your use over Holo’s use (although this may not be included in the initial version at launch) so you never get slowed down. Some people will be dedicating whole machines to Holo hosting… but if you’re using Holo on your main computer you don’t want it to be annoying… you just want it to make use of the spare capacity. If it’s reducing your quality of life – that’s not a cost most people are going to be willing to pay. MS: Yes, it’s secure. It only has the ability to interact with certain parts of your computer. This is similar to the way in which a web site can change pixels on your screen but can’t read your private files. Technically it’s called “sandboxing”. Holo will use a cordoned off section of your computer. We’re not inventing new stuff there, the technology to do this securely has existed for a long time. Amazon is the third most valuable company on the planet and their web hosting division, Amazon Web Services (AWS) makes up 10% of Amazon’s revenues but more profit than the entire rest of the company combined. App hosting is the cash cow of the third most most valuable company on the planet! MS: We don’t need it – because we’re distributing everything… just like Airbnb was able to grow from two guys with air mattresses to a company that books more rooms than any other… because they didn’t have to build and own locations – we’re catalysing existing assets instead. We’ve invented a really efficient accounting system – and a 1% transaction fee is our business model for Holo. And that helps subsidize the larger Holochain ecosystem. This is just a first step in a larger plan to shift how humanity communicates. For example, if I send a tweet – it might get stored by 200 different computers. If one drops offline, the system looks for others to make backup copies to ensure 200 copies remain online – these nodes are “gossiping” with each other – if they don’t hear back when they check in with the ‘Oli node’, they say “oh no, we lost him!” and then look for the next nearest node (what “nearness” means is a bit too technical for this interview). Jimmy is the nearest – so they get Jimmy’s node to make a copy to ensure 200 copies stay online. It’s like a self healing network. From Blockchain and other things – the concept of an immutable, unchangeable, tamper proof data log. A hash chain. Holochain is an agent centric model which is very different to the data centric model of blockchain. There are no miners, and no company in the middle deciding and enforcing the rules. Instead, the participants of a particlar of the network running it as a community. By pooling together our computing resources we make possible an entire network of distributed apps that are free from centralised, corporate control. By putting that scale of control back into the hands of users, we enable humanity to access entirely new possibilities for how we do economics, governance and community. HoloPorts come in three sizes: HoloPort Nano, HoloPort, and HoloPort+, each representing a different capacity for hosting. It’s a principle we’re going to follow with the whole community of hosts, and ICO investors. We’ve been trying to design the architecture so people end up better off by participating. We’re taking care of our staff and the community that are trying to get the software built. But we’re not trying to become billionaires. OSB: How is the Holo organisation going to evolve? We’re aiming to start by using a CoBudget-like process so that our community will control 1 to 3 % of the revenue. There will be a learning process, so the community can build up it’s ability to make decisions and exercise judgement about how to allocate resources, towards training / UI / development / security tools etc. Over time the plan is to increase the amount of the revenue which the community controls until the community controls all of the revenue. We’re also launching a Trust that controls Holochain. That trust receives 50% of Holo’s revenues and that will help to support Holochain and nourish the growth of the network. Basically we’ve managed to hack together a funding mechanism for Holochain, despite the fact that we are completely giving Holochain away for free. OSB: So, do you think Holo will help liberate decentralised co-operation at scale? No more top down, or one-size fits all application experiences, that’s centralised corporate architecture. New ways of digital commutation are going to harness the diversity of co-ops and help give them a learning advantage. This will allow them to experiment and learn faster than centralised organisations – a collaborative advantage in a world that changing fast. That is exactly what we have tried to illustrate with PLANET, which is why this is all so exciting. If the users co-own and co-design the browser which Nicolas describes we will finally have a framework within which we can build a democratic, collaborative, sustainable economy – the perfect framework for decentralised cooperation at scale. This is very promising. Perhaps the ultimate outcome (the dream) is that overall cost of living will go down, human development will advance due to better access to information, and usage of natural resources will be optimised.